take any more nutrition advice until you read every word of this important message. nutrition...and how they fit together in a “clear and to the point” manner. This is not another ebook or overwhelming onslaught of nutrition information. It’s unlike anything you’ve ever seen before. "Please...STOP! Enough is enough! I can't take it anymore. I'm confused and my head's hurting." If you’re like millions of other motivated – yet frustrated – health seekers, you’ve been crying this tune for some time now. And, it’s time for it to stop. You need to turn off (or at least slow down) the flow of information and, instead, focus on acquiring the RIGHT information that will give you clarity and a deeper understanding to move you closer to your health goals. If you’re serious about eating healthier, eliminating nagging health issues, and getting as healthy as possible so you don’t die of a preventable (genetic) disease, lose function as you age, or regain any weight you’ve previously lost, then what you’re about to read will save your life - or at the very least, prolong it. Because, you’ve been lied to and misled. You’ve been purposely confused, overwhelmed, and kept in the dark about your health and nutrition. We’ve become gluttons for diet books, magazines, newsletters, emails, blogs, videos, and tweets. But just as too much junk food can lead to obesity, too much junk information can lead to cluelessness. If you’re most people, you’re probably still searching for an answer. Yet, we still battle an obesity epidemic and worldwide health crisis. How many more diet books and close-minded health experts do we need before someone puts an end to all the MADNESS? The solution, after all, isn’t MORE information, but rather acquiring the RIGHT information that will create better habits and healthier choices. …at least, not in our lifetime. So what are you to do – continue struggling with preventable health problems or banging your head against the wall in search for the answers to your most important health and nutrition concerns? 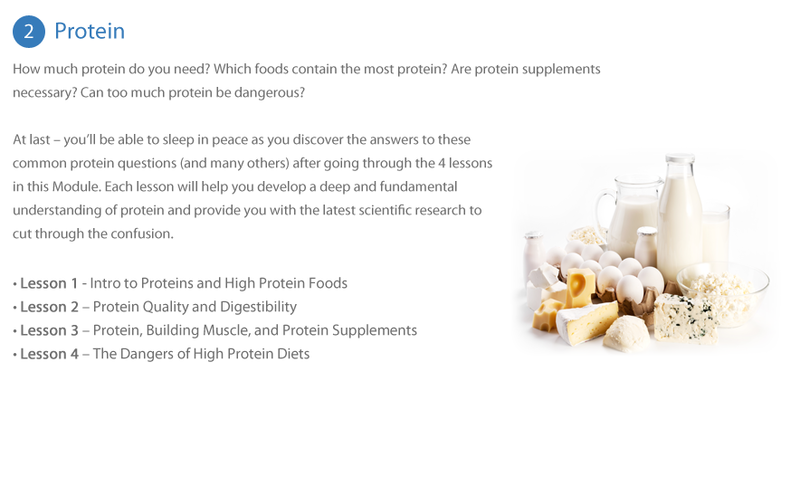 If you finally want solid, concrete, and evidence-backed answers to your health and nutrition questions, then you’ve come to the right place. If you’re intrigued by how your body works and want to understand the inner workings of how food and your body interact in keeping you healthy or making you sick – without requiring a PhD in biology to make sense of it all – then keep reading. Getting a definitive answer to your health and nutrition questions is like crawling across broken glass on your naked knees! My name is Yuri Elkaim and even though I’m a Registered Holistic Nutritionist, Certifiied Kinesiologist, and highly sought-after High Performance Health Coach having helped more than 71,000 people to greater health and vitality over the last 13 years, I can completely relate to your frustration. Despite having now shared my wisdom in countless magazines, newspapers, and TV shows across the nation, the world of health and nutrition was a big mystery for about 24 years of my life. And it seems as though there was no hope in sight. For years, I was confused and suffered from many health challenges – including a life-altering autoimmune disorder. After 8 years of relentless searching and visits with medical doctors, my health questions remained unanswered and the solutions appeared out of reach. But then fate intervened as I stumbled upon a natural nutrition school where I invested thousands of dollars in tuition and hours of study to finally get the health and nutrition clarity I had been seeking. My newfound understanding of health and nutrition allowed me to navigate a confusing world of information overload. I finally had the clear-cut answers I so desperately needed to overcome my debilitating health problems. But after graduating as a Registered Holistic Nutritionist and having helped thousands of people, I realized that almost everyone was (and is) still dazed and confused about how to get rid of their health challenges and enjoy the healthiest life possible. And I bet you’re one of them. TV commercials and magazine ads brainwash you into believing that Wonder Bread with DHA is good for you (and your kids) and that your bones will wither away and crumble unless you drink lots of milk. Most medical doctors have become ‘modern cowboys’ thanks to their trigger happy, drug-prescribing habits that have caused an epidemic of resistant bacteria and drug dependencies. Medical and government propaganda scares you into getting a flu shot despite the newest research revealing that these toxin-loaded vaccines have close to a 94% FAILURE RATE at keeping you healthy. Supplement companies – with their images of ripped cover models – have led you to think that protein is the holy grail of health and that NOT eating enough protein is the reason you can’t build muscle, lose weight, or rev up your metabolism. With claims like these, it’s no wonder that you are still struggling to achieve the level health (and peace of mind) that you desire. You’re probably as confused as a drunken sailor lost at sea. You just want straight-forward answers and advice that makes sense...for you. It that too much to ask for? Fad Diets, and a Government Gone Wild? Will your health be snatched away from you (and your family) by utter confusion, information overload, or from dubious marketing tactics pushing the latest fad diet? You don’t like being taken for a ride. Who does? But this has been happening to you for most of your life without you even knowing it. If you’re like me, you want this to stop. 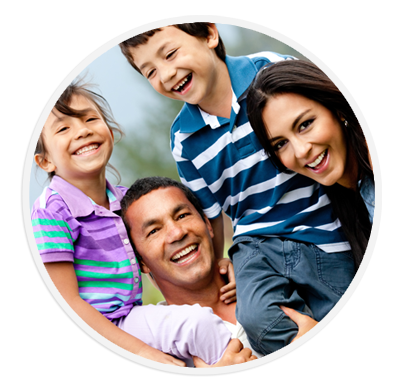 You want to feel confident that you’re making the right health decisions for you and your family. You want to know that what you’re eating is actually good for you. You want to be lean, energetic, and free of disease. You want clear-cut and scientifically validated answers to your health and nutrition questions. You want a fundamental understanding of how your body works so you can cut through the weeds of misleading information and hype so you can finally improve your health, lose weight, enjoy all-day energy, reverse your health problems, and live longer. You believe that your golden years are a time to explore the world and do what you want to do – not a time for sickness and dependency. If so, then you’re about to enjoy clarity, confidence, and peace of mind so you can finally reap the numerous benefits that I just mentioned above. Once and for all, you can be the MASTER of your health, your body, and your diet and get on with your life. No longer will you have to tirelessly surf the web or go from one diet book to the next only to be more confused than ever. You can now reclaim control of your health and understand the complex relationship between food and your health in a simple and convenient way. Less Than 1 Hour Per Week! It's called Super Nutrition Academy. As I mentioned earlier, because you, me, and every other health conscious person out there is becoming increasingly fed up with all the nonsense and conflicting diet advice, I decided to finally put an end to it - once and for all! 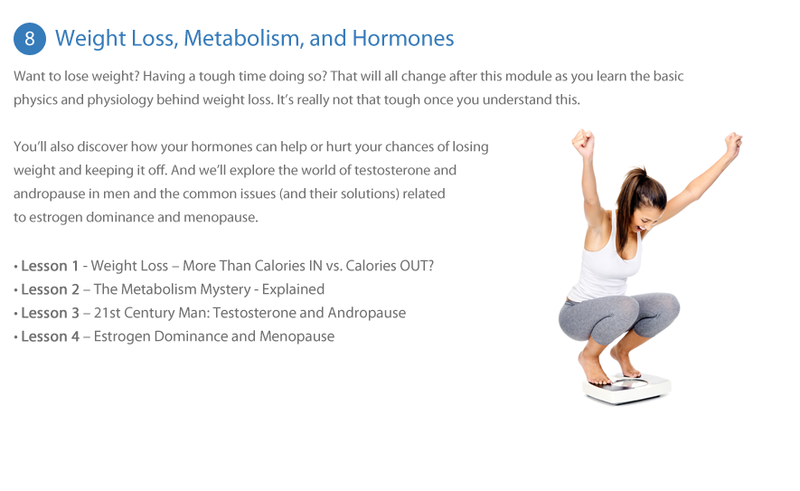 Over the 2 past few years, I set aside more than 1,000 hours and plunged into the depths of the scientifically literature – and the work I’d done with hundreds of my personal nutrition clients – to compile the most comprehensive and easy-to-understand platform for mastering your nutrition and health. I then cross-referenced everything I experienced, read, and learned and condensed it into bite-size, digestible pieces of must-know information that would be easy for YOU to understand. 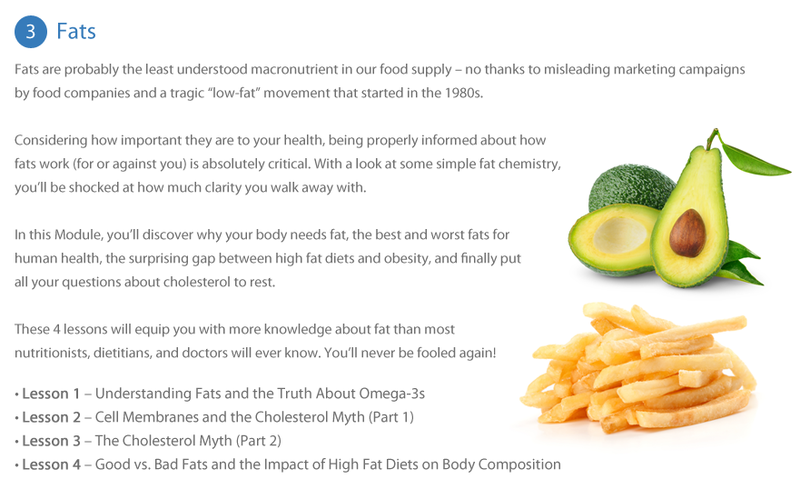 Evidence-based findings about fats, cholesterol, carbohydrates, proteins, vitamins, minerals, supplements, superfoods, and more. At the same time, I recruited the brain trust of several of the most knowledgeable doctors and experts in the health field, including a U.N.-accredited doctor who is currently responsible for revamping the health care system in Saudi Arabia. No expense was spared in obtaining these experts. 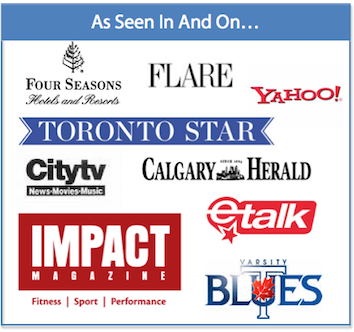 Our final “collage” was put through over 6 months of behind-the-scenes testing with numerous clients before even making it available to the public. That’s why you can count on Super Nutrition Academy to be your ultimate, research and experience-backed, non-biased, ultimate resource for all your health and nutrition answers. With over 13 years of personal coaching, clinical, and teaching experience, interviewing a group of leading experts, and spending an additional 1,000 hours summarizing the current literature into easy-to-understand and easier-to-apply information and resources, you’ll finally have ONE resource to help you master your diet and health that is as reliable as the morning sunrise! Each module features 4 in-depth video lessons (PowerPoint-style and live) to help you understand and master that given month’s topic. In total, these 48 nutrition lessons will equip you with just about everything you need to know to better your health and diet in a simple, organized, and unbiased manner. 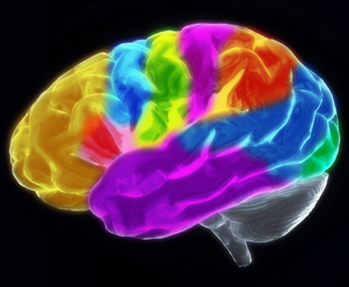 No more information overload or confusion. By the end of our time together I GUARANTEE that you’ll know more about nutrition than most doctors and dietitians, giving you total control of your health and the power to make the healthiest decisions for you and your family. If you sought out individually offered seminars covering these same topic areas, you would pay at least $395 to as much as $995 for each one. And venturing back into the world of academia would set you back at least $4,995. So this is at least a $9,995 value. You can watch each Powerpoint/Live video presentation online within the Academy “campus”. Or, if you prefer to watch the videos from your computer or iPod/iPad, then you can always download each video to suit your needs. These highly engaging videos allow you to watch and learn at your own pace from your computer or favourite portable device. Perfect for visual learners who need to see graphs, charts, and illustrations for maximum retention. 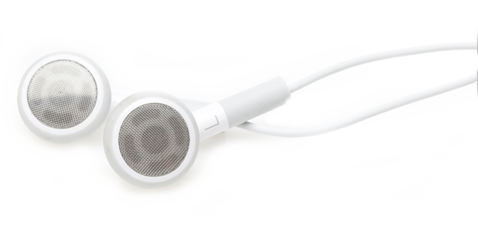 Want the convenience of LISTENING to each lesson while working out, walking your dogs, or driving your car? Well, just download the MP3 audio and take your learning with you on your iPod/mp3 player. You’ll hear my voice (just as in the video) over your headphones teaching you everything you need to know. 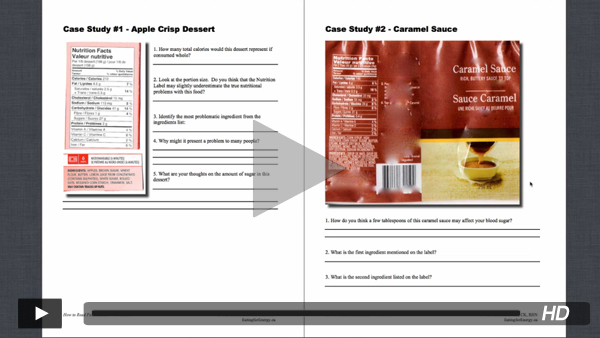 Each lesson’s workbook is an indispensable learning sidekick, giving you written descriptions for each lesson. You’ll get everything from the videos and audio, including the graphs and illustrations, in text format. Feel free to print these off if you’d rather hold them in your hand and take notes while eating your morning breakfast. To give you a quick reference for the most important points and action steps from each lesson you’ll also receive a “Cheat Sheet”. Each “Cheat Sheet” gives you a 1-page synopsis of the most important information points from the lesson, along with any health-boosting action steps that are suggested. Having this single page allows for easy referencing in the future. This would be similar to having a professional note-taking service do all the work for you and give you a nice and tidy explanation of what was covered. Knowledge is one thing. Putting it to use is another. Having helped thousands of people improve their health, I can tell you that the most IMPORTANT thing that will accelerate and maintain your ability to transform your health and your body is creating the right health habits. Most diets fail because they don’t help you develop the right habits. For instance, a 2005 study in the Journal of the American Medical Association, showed that the key to successful weight loss is not the diet itself, but actually FOLLOWING THE DIET! Weight Watchers (low calorie), The Zone Diet (low glycemic index), The Ornish Diet (low fat), and The Atkins Diet (low carb). Here’s what they learned: all of these diets worked when the participants in the study followed them. The problem is that less than one in four were able to stay on their given diet for just this one year! What this tells us is that instead of looking for that “perfect diet”, you need to learn how to adhere to healthy eating – whatever that will be for you. This can only happen by developing the RIGHT habits! 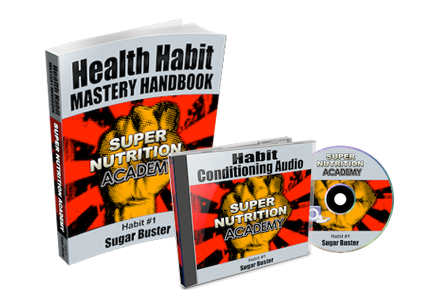 And that’s exactly what you’ll do with the Health Habit Mastery Handbook and Conditioning Audios inside Super Nutrition Academy. Since it takes roughly 30 days to ingrain a new habit, each month we’ll focus on mastering just ONE new dietary/lifestyle habit so that when it’s all said and done you’ll have mastered 12 new health habits to live your healthiest life ever. For instance, Module 1’s Health Habit is called “Sugar Buster” (which ties in directly with what you’re learning about in that module) and will help eliminate your cravings for and dependence on sugar. And it couldn’t be easier thanks to the 2 habit conditioning tools you get with each module. First, the Health Habit Mastery Handbook is your step-by-step guide to developing NEW habits. It will teach you the basic science behind how habits develop and how you can condition new ones in just a few minutes each day. 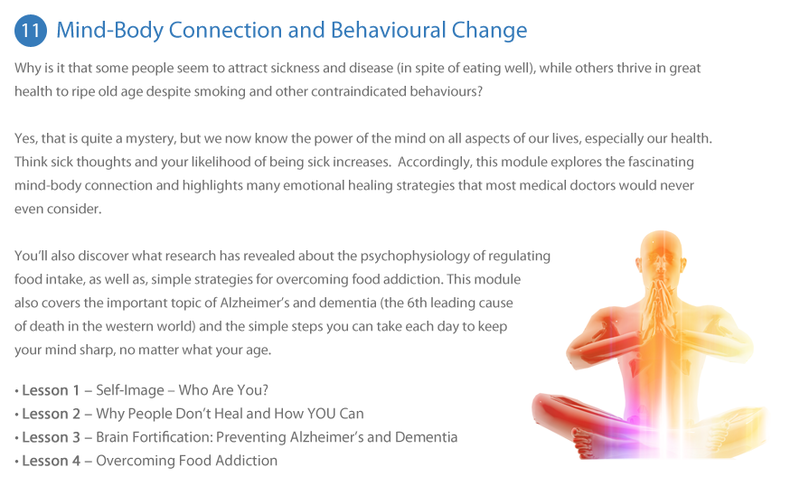 Each month, you’ll receive an updated “chapter” to this handbook with the NEW Health Habit for that particular module. By the end of our 12 months together, you’ll have a go-to handbook containing all 12 habits and how to master them. Second, each module’s Habit Conditioning Audio will help you anchor and fortify each of your 12 Health Habits. This 10-15 minute audio will guide you through a strategic process – used by top athletes and “change” experts – designed to help you embed each habit deep into your nervous system (where all change takes place). 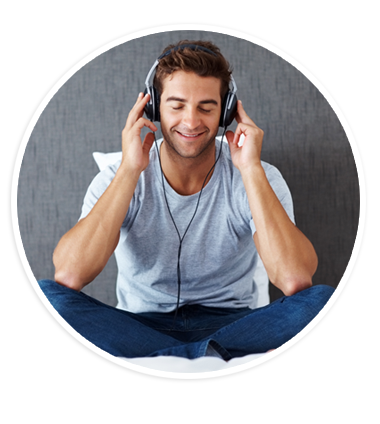 These audios help to put you in more control over your thoughts, beliefs, and habits so that you can make the changes you want to make instead of living in a quiet (or not so quiet) state of frustration. Simply listen to each month’s audio in a relaxed environment before going to bed or first thing in the morning and watch your life transform before your eyes! By the end of 12 months, you’ll have firmly imprinted 12 incredible health habits that will seem as natural as brushing your teeth in the morning. As student of Super Nutrition Academy, you’ll have access to all the materials and tools (mentioned above) and on-going support inside our online “Campus”. This is where each month’s modules/lessons will be posted along with a community building area beneath each lesson. Here, you’ll be able to post questions (answered by yours truly) and connect with other students. Learning should be an interactive 2-way process and that’s why Super Nutrition Academy’s campus life provides the ultimate platform so that you’ll never feel like you’re on your own. Finally put an end to years of confusion, information overload, and frustration with respect to your health and nutrition. Minimize your risk of preventable diseases like cancer, heart disease, and diabetes. 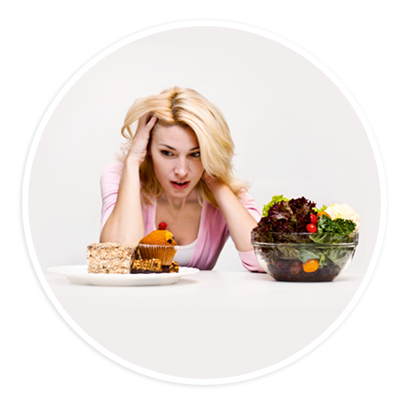 Overcome debilitating bad dietary habits and crippling cravings. Eat healthy and have more motivation to do so consistently! 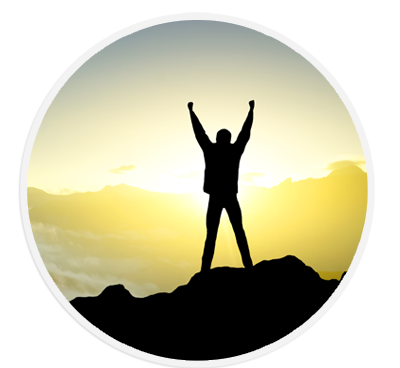 Feel great about yourself for mastering the most important thing in your life...your health! You don’t need more statistics about the health problems that are consuming our world. We all know what’s going on. But you do need solutions to your health problems and a solid understanding of why they occur and how to ensure that they never happen (or come back). Your Doctor or Their Dietitian Side-Kicks. That’s right...with just 1 hour per week of focused learning and application, you’ll start laying the foundation for a life of incredible health. This is stuff your doctor and most dietitians don’t even know about. 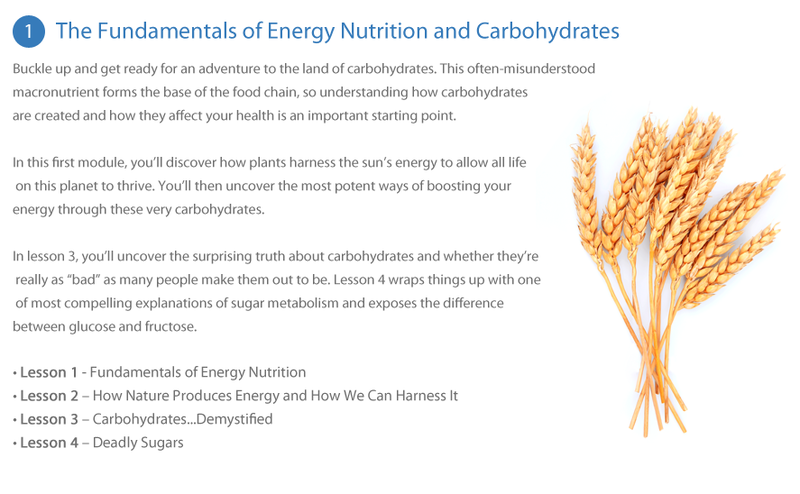 In Lesson 3, you'll "crack the carbohydrate code" and be shocked at how many carbs, proteins, and fats, are consumed by the longest living humans. It has the surface area of a tennis court and is considered your "GATEWAY" to incredible health or a lifetime of health problems. Find out which organ I'm talking about in Module 5 - Lesson 2. "I never liked science much in high school but this is so much easier to understand." I have thoroughly enjoyed each module, especially the one on sugars. I had no idea sugar could be so problematic! I still eat some processed food, but not even close to the amount I used to eat! Also the poop lesson really opened my eyes! Now at least it's the right shape some of the time! I never like science much in high school but this is so much easier to understand. I especially enjoyed the cheat sheets because this way, I knew which material was the most important to grasp. I'm looking forward to going through the rest of the modules in the next year or so. I know I will continue to learn much! 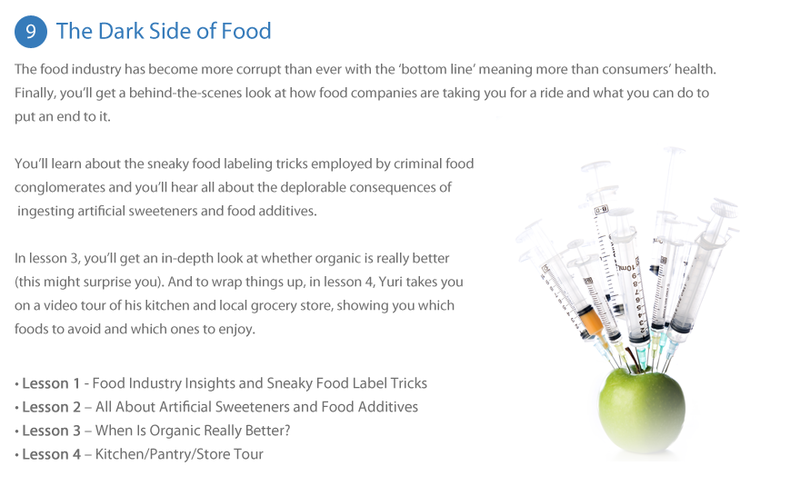 "A great program for anyone that wants to go beyond the basics in understanding food." Your program has given me a deeper understanding of the way food reacts in our bodies. 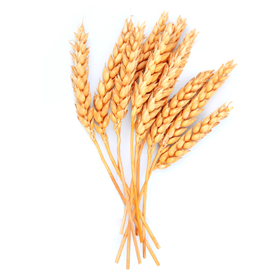 I really enjoyed the modules on food allergies and intolerances such as gluten. A great program for anyone that wants to go beyond the basics in understanding food. "I learned so many things and would highly recommend this academy." It is hard to choose one module that I liked best since I received valuable information in every lesson. If I had to choose one I would choose the lessons on digestion because that was an area I needed to learn more about and experienced the most benefit from applying the knowledge I gained overall. I learned so many things and would highly recommend this academy. Thanks for sharing your knowledge and experience. "I like that the material is presented in different ways." I like that the material is presented in different ways. For example I am a visual learner but also an audio one. So I will process better charts, graphs, pictures visually, but the material also sinks better when I listen to an explanation. I like to be able to complement these 2, and it offers also more tangible opportunities to actually work with the material as I’m not bound to my computer. 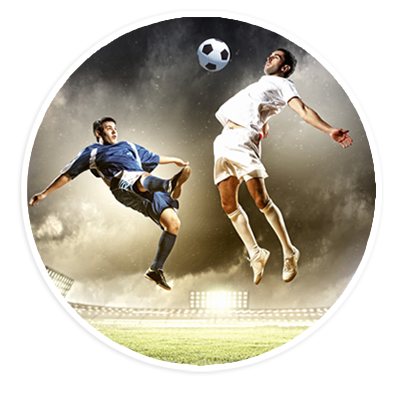 "Super Nutrition Academy has helped me jump over the sugar hurdle." I have been changing my diet and trying to get into an exercise routine for the past 10 years and my biggest downfall has always been SUGAR. Super Nutrition Academy has helped me jump over the sugar hurdle. The thing I have enjoyed the very most with Super Nutrition Academy is the wealth of information and the delicious recipes. The food is so extremely delicious and satisfying that your body is not interested in snacking between meals. The recipes are easy to prepare and great for the body. Thank You Yuri. "The best thing for me is that I can do it in the comfort of my own home at the time I choose." I'm enjoying each module of the Super Nutrition Academy!! It's so interesting and well done. The best thing for me is that I can do it in the comfort of my own home at the time I choose. I love it and Yuri is so good for teaching nutrition. Thank you for the experience! "Super Nutrition Academy is a wonderful resource." I have had a long time interest in fitness and nutrition, ever since my adolescence and I am now in my mid-40’s. So, I consider myself to already possess a fairly well read in the area of health, wellness and nutrition, with a decently solid foundation. I wouldn’t be entirely honest if I didn't admit that I had some skepticism regarding how much value I might receive from Super Nutrition Academy. There is a lot of noise and many self-professed fitness, health and wellness “gurus” are very extreme and highly biased in their information offering, philosophically as well as in what they preach and/or practice. 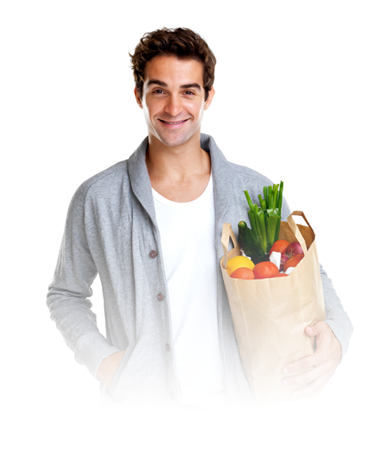 I couldn’t have been more pleasantly surprised with Super Nutrition Academy than I am! I decided to enroll in the program and give it a trial run primarily on the basis of my experience with Yuri’s Eating For Energy program. From the Eating for Energy program I appreciated the thoroughness, depth, detail, and genuine balanced viewpoints. 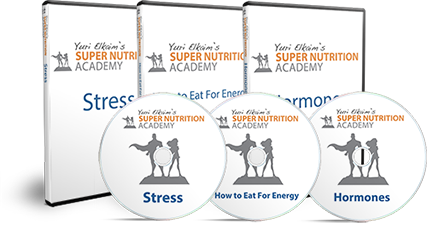 Yuri continues this structure with the Super Nutrition Academy but goes deeper into each of the critical areas as they apply to the world of Nutrition. 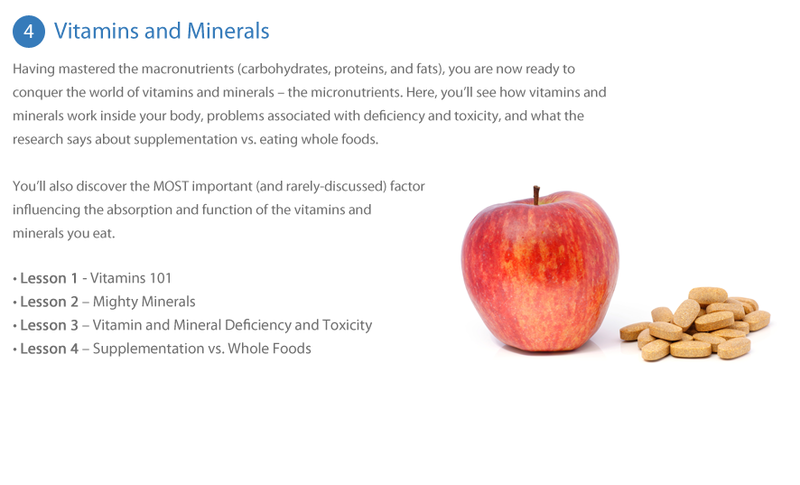 Bottom line is that Super Nutrition Academy is a very nicely detailed, yet condensed volume of invaluable information for anyone interested in the subject material. Yuri has clearly done his homework. He comes across as genuine and he espouses his views and opinions in an impartial manner, supported by documented research. In fact, the original research on which the material is based is very clearly provided and this allows those of us who are really keenly interested in health and wellness to follow up with further reading of the supporting evidence on various topics, if we are so inclined. "Super Nutrition Academy gave me valuable information about how our body works, what is the importance of whole foods and how nutrients are metabolized inside our body." Super Nutrition Academy is an amazing experience. Every module is like a piece of a puzzle. Only if you have all the pieces you can see a clear image. 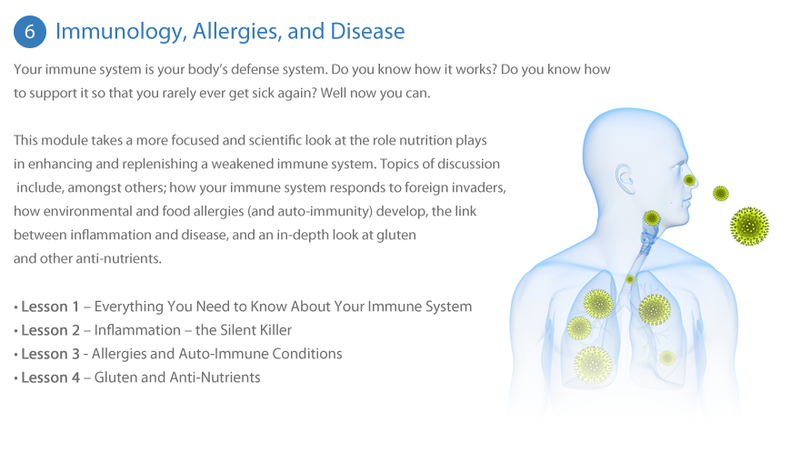 Having said that, I think that one of the most interesting modules is Module 6, because it explains how our immune system works and why we get sick. I think, once you understand that, you'll want to know what kind of diet will boost your health, and how cleansing can help as well. I am a long distance runner and as you know this is an area that invovles many sport drinks and gels and other special products that provides you "all the mineral and carbohydrates and vitamins that you need" to complete a race. But you also get in a lot of suspicious substances, day in-day out, not only when you participate in a a race, but also when you train. So I don't like these products and I try to find natural foods that will help me accomplish my goals. Super Nutrition Academy (and Eating for Energy which is an amazing book) gave me valuable information about how our body works, what is the importance of whole foods and how nutrients are metabolized inside our body. Choosing whole foods, helped my health. Choosing when to eat what, helped my athletic performance. Thank you for this. "…it has placed the health of my body back in my hands…"
"There is so much information out there and I'm really glad Yuri has deciphered it all and brought it to us in an uncomplicated format." Super Nutrition Academy has been a very informative and powerful learning resource regarding health issues. There is so much information out there and I'm really glad Yuri has deciphered it all and brought it to us in an uncomplicated format, without being biased at all by any money hungry organizations that only want to sell their own products (and tweak results to suit). I was very lost in the health world due to the conflicting information and didn't know who to trust. I have had several personal health issues with me or my close family, that leading medical organizations have not been able to point me in the right direction, even making ridiculous statements that it was possibly even my fault that this was happening! So my search began for real answers that Super Nutrition Academy has already shed some light on in Module 1! Lesson 4 has been a real eye-opener because sugar is a big part of almost everyone's life (even if we don't know it!) 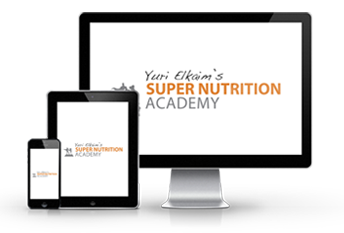 I wish I would have enrolled in Super Nutrition Academy years ago! 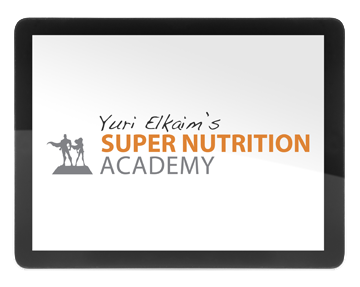 I hope that you will allow Super Nutrition Academy to empower you too. "I’m really looking forward to the next 6 modules!" I’ve really enjoyed the format and ease of downloads. Have just spent 6 months reviewing and applying all my previous sports nutrition knowledge helping my wife beat follicular lymphoma and modules 5 & 6 are where it's all at. 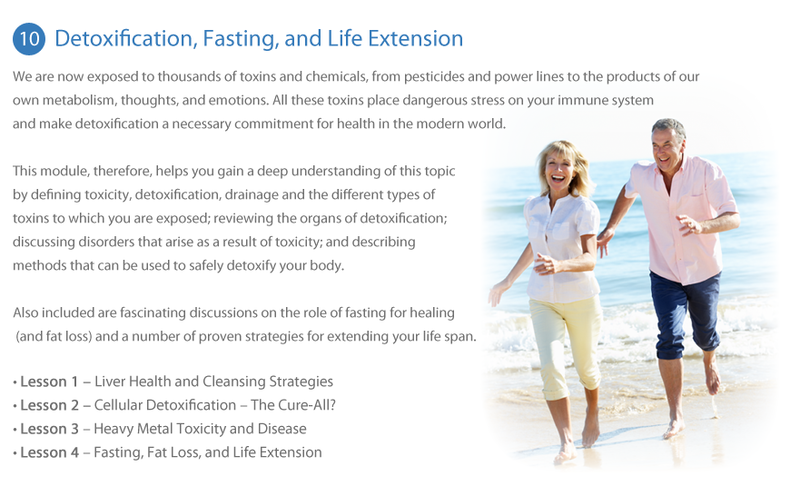 Detoxify, eliminate, change the digestive processes, improve the immune response etc. Cancer is such an easy thing to fix once you know what it is. - bugger the Chemo - radiation and surgery the quacks want you to believe is the only process you must go through. Really looking forward to the next 6 modules. Thoroughly enjoying it. 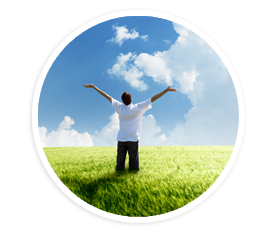 "SNA has been a complete upgrade to my views and knowledge on nutrition. I really enjoy all of the up to date science behind it." "This is a breath of fresh air…"
If it was not for Yuri and Super Nutrition Academy I would be stuck in the "cookie cutter" ways of thinking about nutrition. I have taken college nutrition courses for years on end with little results for great health. This is a breath of fresh air and I would recommend Super Nutrition Academy to anyone who is tired of the same old ways that just don't make sense anymore. I think the program as a whole is important because learning one part without the others will not help in understanding our bodies and what they really need to be well. Thank you Yuri! "…it’s nice to have one resource that is so insightful and science based…"
I have to admit, I have not gotten all the way through the whole 12 modules of the academy but, from what I have done I have really enjoyed it. I have also checked out your new podcast series and find it very helpful as well. There is just so much information out there it’s nice to have one resource that is so insightful and science based with lots of research to back it up. "….enabled me to not only lose the weight but keep it off because I understand the dynamics of eating the RIGHT foods." "I have always been active my entire life, as well as 20-30 lbs overweight. I run, bike , lift weights, and hike thinking I could burn more calories than I ingest. Thus I could lose the weight yet still be able to eat any unhealthy food I wanted to when I wanted to because I was active. Ha, ha was I misinformed. Well the Super Nutrition Academy taught me this isn't possible and much more. I learned the basics and more about foods, supplements, exercise, physiology and psychology (to name a few topics). This enabled me to not only lose the weight but keep it off because I understand the dynamics of eating the RIGHT foods. 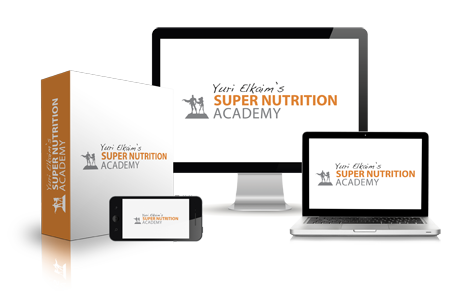 Without the informative and easy to follow modules Yuri presented I would still be spinning my heels trying to decide what diet fad I should try next..... thanks Yuri"
Is Super Nutrition Academy Right For You? Super Nutrition Academy is ONLY for people who are motivated and committed to finally mastering the complex world of nutrition (in and easy-to-understand format) and its impact on your health. If that’s not you, then this isn’t a good fit. Otherwise, you’re here because you’re probably a lot like where I was several years ago. You want an end to the information overload and confusion, and you want to get to the bottom of what really matters to you – your health. You’re sick and tired of depending on ridiculous magazine articles, diet books, and heavily biased experts that all have conflicting points of view. And maybe you’re going through a rough patch with your own eating habits and need to get your act together. And you’ve come to the right place because nothing will motivate you more than truly understand exactly how certain foods are fortifying or destroying your body. It’s about 10 minutes before your alarm clock normally goes AND you eagerly jump out of bed. You’ve given yourself plenty of time to get ready for your day and prepare a healthy breakfast for yourself (and your family). Your day can only better after such a great start. Heck, you might even have time for quick workout before work. While others are falling prey to uncontrollable cravings and zombie-like bad eating habits, you have the self-control and proper habits to make healthier choices. Because you’re eating healthier and staying active you will feel amazing about yourself. Not only do you look great but you feel like you truly deserve to feel – happy and confident! 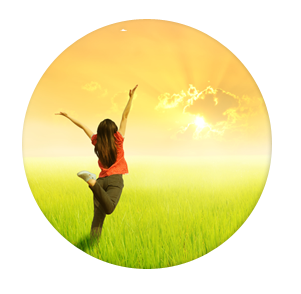 You feel great about yourself because you’re living congruently with one of your top values – your health. Your friends, colleagues, and family can’t help but notice your joie de vivre. In fact, your zest for life is shining through and inspiring them to do better for themselves as well. Because you’re now in control of foods you eat, you feel comfortable going out to eat with friends. You don’t fear food and you no longer feel that uncontrollable pull from the oversize chocolate cake for dessert. But you also feel secure enough to allow yourself to indulge once in a while since you understand the power of balance and moderation. Unlike most other people, you know what’s happening inside your body. You know which foods help or hinder you. You’re in the driver’s seat and fully in control, so there’s nothing to worry about. No temptations can derail you. And if even they did, you would have the confidence and power to get right back up and keep on going without beating yourself up! Instead of debating with your friends about which foods are healthy, you’ve become the “go-to” expert in your circle of influence. Friends and family now come to you for advice because they’ve noticed that you’re doing something different...something that’s working. They want in. Even your doctor is shocked. When discussing topics like cholesterol, hormones, or blood sugar, you’re ahead of the game and surprising your doctor with your profound knowledge of nutrition and health and how you’ve put it to work in your life. In fact, your doctor’s fairly confident that she won’t be seeing you for some time...now that you’re on top of things and so much healthier! I know it's hard to put a price tag on bulletproof health, a toxin-free, lean, and attractive body, and having the confidence and “know-how” to be in full control of your health. …mainly because very few people enjoy this luxury. But when you consider the rising personal health care costs (especially for those living in the US without health insurance), you’d better do what you can NOW to avoid ending up “in the system”. 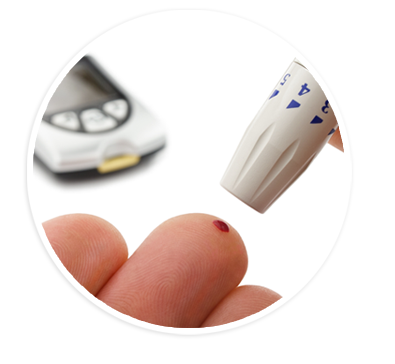 For example, according to the American Diabetes Association, people affected by diabetes (in the US) have medical expenditures more than twice as high as those who do not have diabetes, with total annual health care costs for a person with diabetes topping $11,744!!! That’s insane and very scary considering that 25.8 MILLION people (and counting) currently suffer from Diabetes (in the US alone). Normally, to receive the nutrition/health training you’ll be enjoying as a student of Super Nutrition Academy, you’d have to enroll in a top-level holistic nutrition school where you'd pay upwards of $5,000/year. How do I know? Because I’ve gone down that route. Believe me, it was worth every penny. It changed my life more than I can tell you. And now I want the same for you...but without the hefty price tag. Plus, with Super Nutrition Academy, you won’t have to re-arrange your life just so you can attend class. You’ll be able to learn from the comfort of your own home...at your own pace...in a fraction of the time...and with all the support you need. Alternatively, you could spend thousands of hours researching and learning this stuff on your own. But good luck! 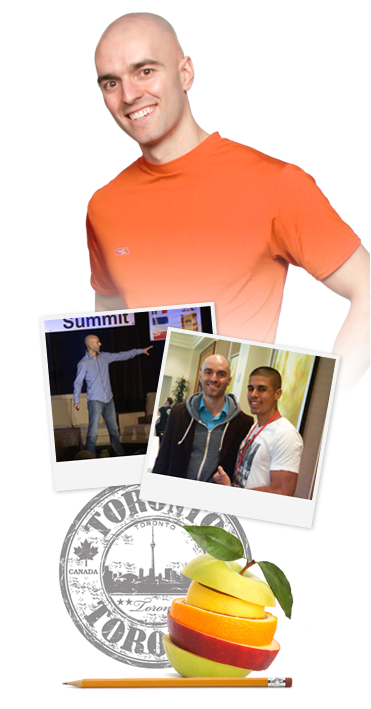 What you’ll get in Super Nutrition Academy is the compilation of my 13+ years of real-life experience, 5 years of university education in kinesiology, health sciences, and a specialization in holistic nutrition, and an additional 1,000 hours of independent research, bringing clarity to the most confusing areas of nutrition and health. I’ve done all the leg work for you. And I’m giving it to you straight-up. No B.S. No hype. No fanatical, radical, or crazy diet gimmicks. 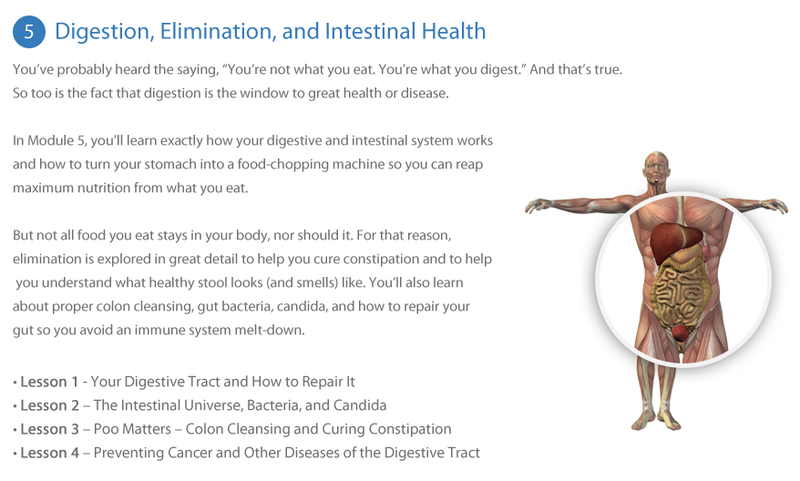 Just solid, research-backed holistic nutrition education giving you a powerful understanding of and motivation for eating healthier, along with how-to steps for developing 12 incredibly important dietary habits to live your healthiest life ever. Where else can you find something even remotely similar to that? Nowhere! Not even in school. A nationally-recognized sports nutrition certificate (weekend program) costing you $675 and covering 1/10th of what you’ll learn in Super Nutrition Academy. An overwhelming raw food certification program (by one of the “gurus”) costing you $799 consisting of 70 hours of tedious, unstructured videos from his living room couch. A 9-week health educator program from a leading health centre which will set you back a whopping $8,595, while requiring your physical presence for all 9 weeks! And still end up where you are right now...confused, frustrated, and overwhelmed. Know MORE about nutrition than most doctors, allowing you to be in better control of your health. Sure you could pursue any of those options. It seems a little ridiculous though doesn’t it? Especially when you can get the MOST of the answers you're looking for, no matter how new or experienced you are to understanding your nutrition and health, as a student of Super Nutrition Academy for just $1. I'm so convinced you'll be knocked off your feet when you go through Module 1 of SNA that I'm willing to let you in for just $1. That way, you can experience it firsthand for yourself before you decide to go any further. If you don't like it or don't find it useful, then simply let us know and you'll never be billed again. Am I crazy? YES...I am. It is so important to me that you truly understand the fundamentals of what it takes to be healthy. …that I’m willing to make Super Nutrition Academy accessible to anyone whose motivated to improve their health – not just the professionals. You will be blown away by the sheer quality and attention to detail of every lesson and develop a level of health and nutrition understanding envied by most health professionals. Upon joining Super Nutrition Academy you’ll quickly notice any confusion you’ve had about important health and nutrition topics evaporate into thin air. You’ll finally have clear-cut answers to what matters to you most with just ONE enjoyable lesson per week. Knowledge fuels motivation and habits make it stick. Super Nutrition Academy’s education is unparalleled and so too are the Health Habits you’ll be developing. The combination of these two components will help you eat and live healthier consistently so you don’t fall prey to yo-yo results as you would with a diet. 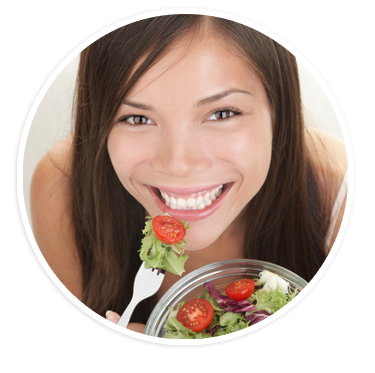 Finally, you can enjoy lasting health results and be in full control of the foods you eat. a full, no questions-asked refund. *Reminder: Each subsequent month you'll get access to a new Module (4 lessons), Health Habit, and newly released Special Reports. More Wisdom and Clarity in 5 Minutes! Great, so you’re ready to cut through the clutter, end your confusion, and finally master your diet and health with Super Nutrition Academy. Remember that this is a 12-month program and you can cancel at anytime. 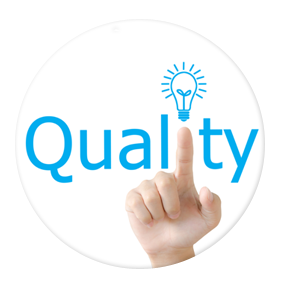 And you’re fully protected by our “triple guarantee” so you have nothing to lose and a ton of wisdom and clarity to gain. We care tremendously about all of our customers and take extra special care of our SNA students. If you need help logging in, downloading a lesson, or anything else we’ll be at your service almost as soon as you send your support email. No more classrooms and boring lectures. You’ve got a life and other commitments. That’s why Super Nutrition Academy gives you a weekly lesson that makes learning simple and fun from the convenience of your own home. And with the click of a mouse, you can download each lesson to take with you on the go. 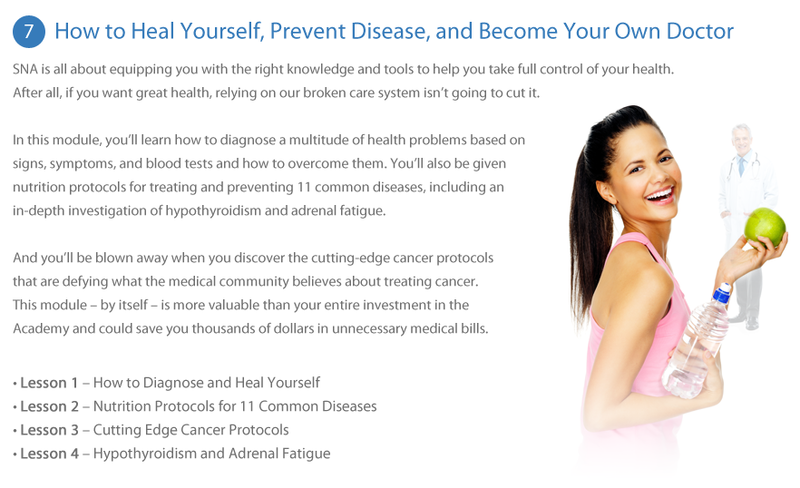 With my 13 years of experience, my numerous educational accolades within health and nutrition, and having helped over 71,000 people to better health, you can feel confident that you’ll be getting the best, most-cutting, evidence-based, and simple-to-understand health and nutrition knowledge possible…from a highly respected health authority. And don’t forget that I spent 1,000 hours further researching the topics that are covered in SNA to ensure that you don’t have to and to give you objective and science-backed answers to your questions, helping you develop a deep understanding of each topic. Good luck getting that from a magazine, book, or blog. 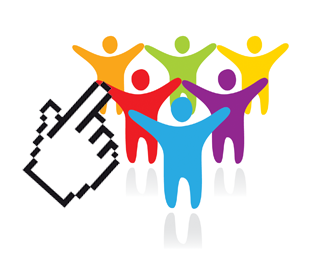 You don’t need more information, you need the right information, and that’s exactly what you’ll get with SNA. Instead of relying on countless sources of conflicting information, you’ll finally enjoy clarity and peace of mind knowing that what you need is right here in one convenient place. And with just one health/nutrition lesson per week, overwhelm and information overload will be a thing of the past. Q: "I’ve already read (and followed) other diets - why would I need this?" That’s precisely why you need to finally learn how YOUR body and food interact. Remember, this is not a diet but an education course that will arm you with everything you need to know about the complex relationship between food and your health, in less than 1 hour per week. It will help you understand the nuts and bolts of nutrition so that you don’t fall prey to any more false promises. 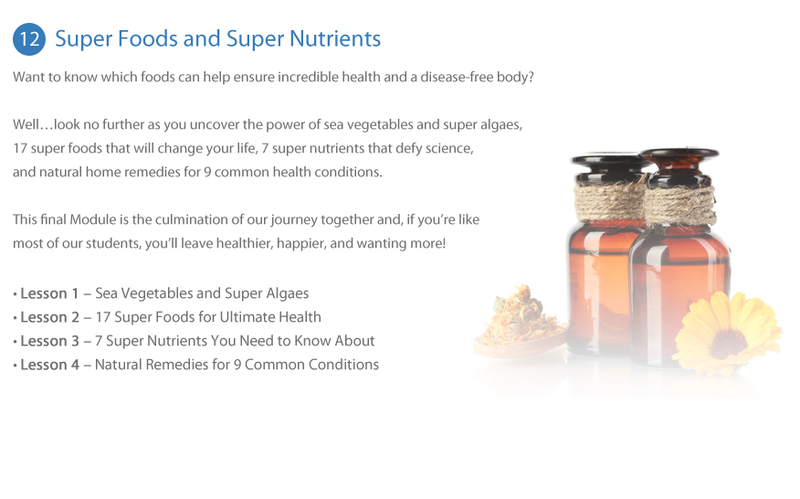 Super Nutrition Academy gives you clarity and invaluable nutrition and health wisdom. After all, no one is going to care about your health as much as you. Q: "What if I don’t want to learn about bettering my health and would rather just to follow another diet?" Q: "Will the the information be too scientific or complicated? Will I get overwhelmed?" No and no. Which means that you’ll find it easy to follow, easy on the eye, uses everyday language, and doesn’t require you to be a Harvard grad or determined masochist to get through the material. 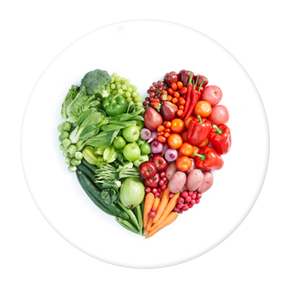 The power of Super Nutrition Academy is in its ability to help you understand the science behind many of your nutrition and health questions, which will give you more clarity and motivation to eat healthier. Q: "What if I don’t want to wait 12 months to learn all the information?” Can’t I get everything all at once?" The reason for SNA’s 12-month structure is to strategically allow you to learn and master each aspect of nutrition and your health in a sequential and timely matter without the overwhelm and frustration you’re probably already experiencing. The last thing you need is access to 48 in-depth nutrition lessons all it once. That would lead to nothing more than...well...overwhelm, no action, and no results. Imagine that, if in school, your teachers gave you an entire year’s worth of material on the first day. How would you feel? Probably overwhelmed and defeated. In fact, most students would probably drop out right then and there. I don’t want that to happen to you and that’s why I’ll be “trickling” each Module in a streamlined and easy-to-master fashion. You can thank me later. Then it’s FREE. If you don’t find that Super Nutrition Academy is giving you more clarity, lessening your dietary frustrations, and helping you build better dietary habits within your first 60 days, then we’ll refund your initial tuition investment. Plus, there are no obligations and you can cancel your tuition at any time (although I strongly recommend all students stay the course to benefit from all 12 modules). I look forward to connecting with you inside the Super Nutrition Academy “campus” and getting you on the path to live a life of incredible health...on your terms! For US customers, the Home Study Course is shipped via USPS ground (with a tracking number) and should arrive at your doorstep within 5-7 business days. For international customers, shipping via USPS International may take 2-3 weeks and a customs fee may apply upon delivery (depending on where you live). 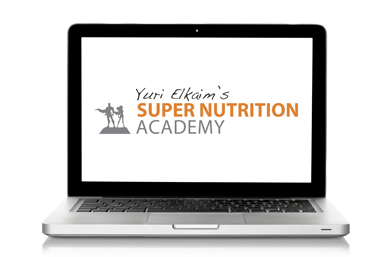 If, after using the Super Nutrition Academy Home Study Course, you find that it hasn't helped you increase your knowledge of the fundamentals of nutrition and are not satisfied with the materials provided, then simply ship it back to us for a full refund. As soon as we have received the entire product (as purchased), your refund will be issued - no questions asked.